As a history teacher and a Mormon and a voracious reader, I love discovering new books that overlay religion and tradition and history. Even when the “new book” came out in 2008. 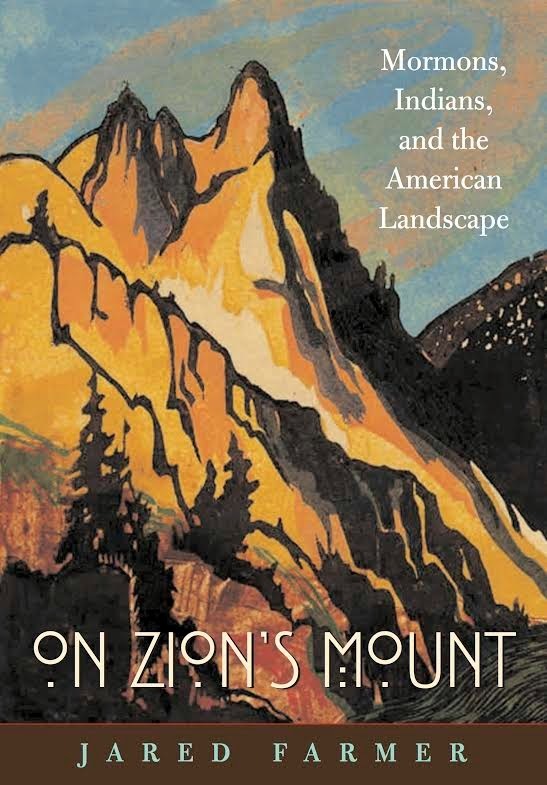 One of my favorite history professors recommended a book in passing: Jared Farmer's book On Zion's Mount: Mormons, Indians, and the American Landscape. The professor was using his book as an example of how our views of geography change according to our own perspectives and needs, even when the land itself doesn't. As a longtime resident of Utah and a history teacher myself, I was interested in the subject and checked the book out. What I found was a fascinating look at how we create the landscape around us, based on our culture, philosophy, and needs. It's also about how legends are created and passed on from generation to generation, including some that I had heard growing up, and even passed on to my own sons. The book is focused on the Utah Valley—the valley just to the south of my home in Salt Lake City—where the city of Provo and the Mormon Church-owned Brigham Young University is located. Utah Valley was historically the home of bands of Ute Indians, who used the ample fishing grounds of Utah Lake and the Provo River to build up their food supplies. The valley was visited in 1776 by Fathers Dominguez and Escalante, who were trying to find a convenient route from Santa Fe to Monterrey, and is described as a an oasis in the desert of the Great Basin by Farmer. The focus of the Indians, of the Mountain Men, and of the early Mormon settlers in the 1840s, was always on Utah Lake. For food, for the streams that fed into it (which could be diverted for irrigation), for the center of civilization. Despite that focus, Brigham Young (president of the Mormon Church, and first territorial governor) didn't want his people to settle in Utah Valley, fearing it would provoke violence with the Utes. Not all of Brigham's flock were sheep however, and soon enough there were Mormons settling along the shores of Utah Lake, and a war erupted between the Utes and the trespassers. All of this is set up in the first section of On Zion's Mount, Liquid Antecedents. As I read, I was struck by the similar focus on water and the valley that Lehi gives us in 1 Nephi Chapter 2: "And it came to pass that he called the name of the river, Laman, and it emptied into the Red Sea; and the valley was in the borders near the mouth thereof. And when my father saw that the waters of the river emptied into the fountain of the Red Sea, he spake unto Laman, saying: O that thou mightest be like unto this river, continually running into the fountain of all righteousness! And he also spake unto Lemuel: O that thou mightest be like unto this valley, firm and steadfast, and immovable in keeping the commandments of the Lord!" It’s a different way of thinking about landforms than we typically do, and Farmer carries us forward. The other two sections of the book document a tectonic shift (almost literally) in the thinking about Utah Valley, as the focus slides away from Utah Lake, and to a mountain located to the east, Mount Timpanogos. Mount Timpanogos is a mountain I've known since I was a child, and has always been one of my dad's favorite mountains along the Wasatch Front—the last range of the Rocky Mountains before entering the Great Basin. 90 percent of Utah's population lives in a strip of cities clustered along the Wasatch Front, including Utah Valley and Mount Timpanogos. The intriguing thing according to Farmer is that early maps of the area don't even show Mount Timpanogos as a distinct mountain, and in fact it may not even be one—but a "massif," an area of uplift that includes a lot of rock and several peaks, but isn't necessarily its own landform like a mountain. In fact, Mount Nebo, a mountain looming at the south end of Utah Valley is taller than Timpanogos, and more impressive in most ways—but has mostly retreated from memory as Timpanogos has received better PR over the last century. 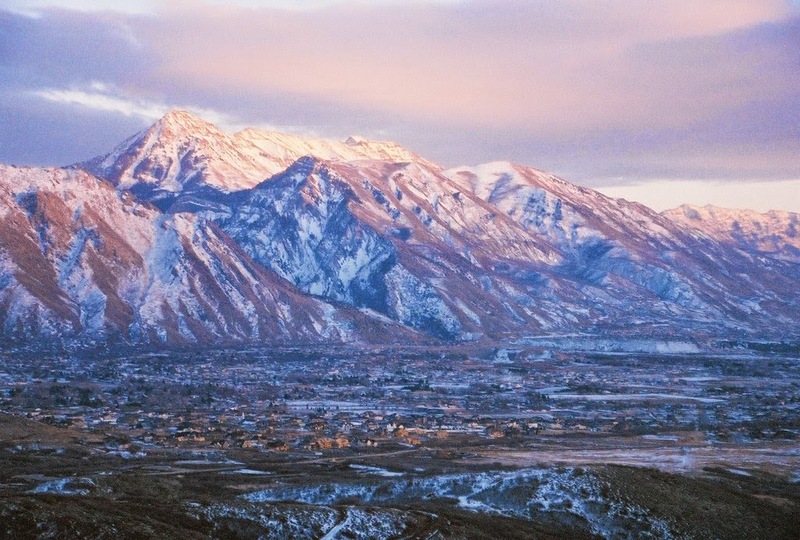 So how did Timpanogos become the mountain so revered by so many Utahns? Why, in a region so arid and so dependent on water as the source of life, did attention and devotion shift from the waters of Utah Lake to the barren rock of Mount Timpanogos? That's the real story, and where Farmer spends the other 200 pages of the book. The answer is complicated, but includes the religious refuge that the Mormons were seeking in the Rocky Mountains; it includes a promoter who "sold" Timpanogos as a destination for hikers from across the country; it includes Robert Redford discovering the lush canyon behind Timpanogos and creating the Sundance Resort (and eventually, the film festival); and it includes creating a Native American legend that would raise the profile of this previously unnoticed mountain to timeless status. The Mormons moved to the Great Basin in the first place to escape persecution and build “God’s Kingdom.” After being pushed out of Ohio, Missouri, and Illinois, they were seeking permanence and protection. The Wasatch range of the Rocky Mountains provided a physical barrier to invasion, but offered an idea of spiritual strength and refuge as well. Looking at the Mormon hymnal, there are numbers of songs that celebrate the permanence of the mountains. This imagery isn’t unique to Mormons, and many of the songs are found in the hymnals of other religions, but it moves LDS residents to revere mountains…including Timpanogos. There are also multiple instances in Mormon and other Christian scripture where prophets have retreated to mountains for spiritual communion with God. In the Bible, Mount Ararat, Mount Sinai, and the Mount of Olives all have significance; in the Book of Mormon, Nephi and the Brother of Jared both have transformative experiences on mountains. Mormons refer to their temples, the holiest of structures, as “the Mountain of the Lord,” borrowing from Isaiah. With Latter-Day Saints eyes continually being directed by their history, by their music, and their own sacred writ, it seems inevitable that they would find a nearby mountain to revere. The Legend of Timpanogos is essentially a twist on the "Lover's Leap" — a tale of doomed love between an Indian Princess and her suitor — by the end of the story, she's been turned to stone, and the mountain is in the shape of her slumbering body, Sleeping Beauty-style. There's also Timpanogos Cave, on the north side of the mountain, which has a formation called "the Heart of Timpanogos" which sometimes figures into the legend. 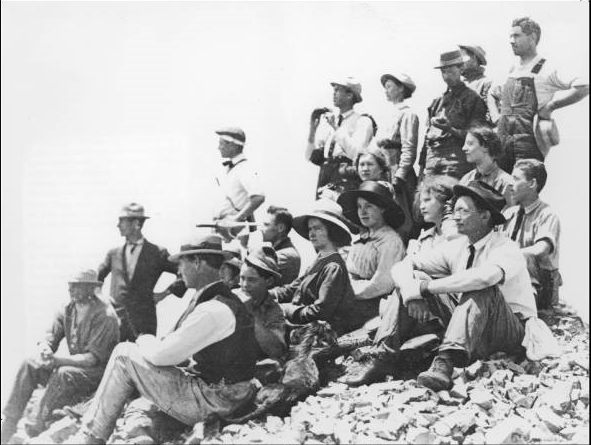 The thing is, the Ute Indians living in the Utah Valley pre-1850 never even had a "Legend of Timpanogos;" it was written by a man named Eugene Roberts who was promoting mountain hikes in the early 20th Century. The Legend of Timpanogos survived because it was embodied. People imagined the mountain itself as an Indian body, and the bodies of performers acted out the legend. After encountering the legend around a smoky campfire or deep inside the chill, damp darkness of Timpanogos Cave, many listeners became tellers, repeating the legend—performing it—to family and friends. In this way, by the mid-twentieth century Eugene Roberts' printed story was transformed into pageantry and folklore. What does it say about us (white Americans) that we eliminate the Native Americans from the land and then proceed to name the landmarks of their former homes after them? Farmer spends a good deal of time explaining the idea of "Indianification" — a perverse kind of retroactive respect for Indians and a romanticized view of their culture after they're no longer a threat to "civilization." It's an intriguing idea, and one that you can find evidence of not just in Utah or the West, but in most parts of the United States where Anglo culture has superseded Native culture. Which...is just about everywhere. 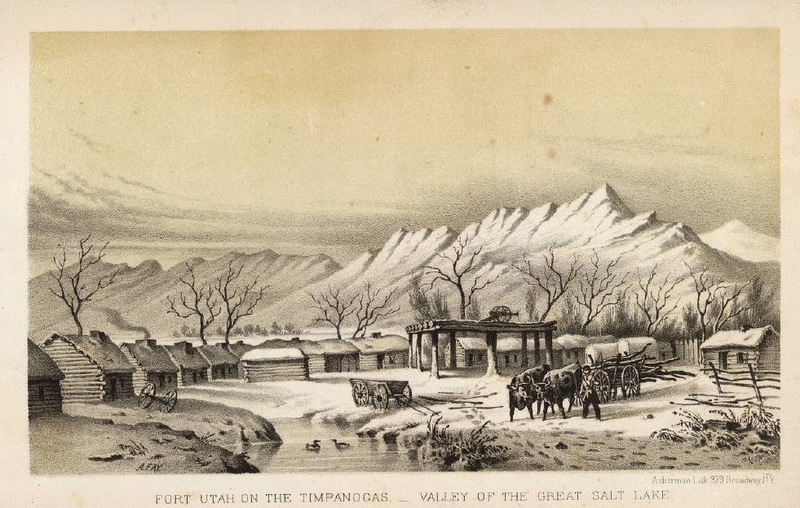 Farmer makes a compelling case, and some of the most damning evidence is his finding that in Utah County "the Legend of Timpanogos constitutes the most memorable 'knowledge' about the Indians who once possessed the place." So what little cultural memory we do have of the Utes who lived here was invented by a white dude to sell tickets to his hike. This was a fascinating read, and I learned much more than I thought I would. I have a love for Utah's geography and history, and as a resident this may be more interesting for me than readers outside of Utah—but the larger part of the book is really about how we construct our own ideas about where we live. Our homes, our landscapes, and how we view our own history as Americans. If you've ever given a second thought to how you ended up where you are today, On Zion's Mount is an excellent place to start.